Welcome to Bedrock Granite & Tile. We are a family owned business located conveniently on Hwy 60 in Slinger, between Hwy 41 and Hwy 45. We offer granite, marble, quartz, Dekton, other natural stones, and a variety of tile products. We specialize in custom residential work while working with commercial projects as well. 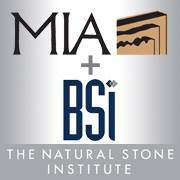 Our American stoneworkers are qualified to work with any stone (including exotic varieties and unique designs) and our elite sales staff offers years of experience in customer service and design. Indoors or outdoors, we will work with you to find the perfect product for your project. Bedrock Granite & Tile has been family owned and operated since 1988. With years of experience, the staff of Bedrock Granite offers a plethora of knowledge and expertise in the design, fabrication, and installation of your countertops. We take great pride in offering customers one of the area’s largest showrooms, located conveniently in Slinger on HWY 60 between HWY 41 and HWY 45. Our professional sales staff will assist you in finding the perfect countertop for your project. Our goal at Bedrock granite is to offer a superior service that creates a fun and exciting experience from the second you walk into our showroom until the day the countertops are installed. We work with both residential and commercial projects but offer the same great service no matter what your project may be. Visit our showroom and experience the great service that Bedrock granite has to offer. We won’t take you for granite! Stone is our passion! At Bedrock Granite we offer an abundance of stone products in order to meet every customer’s specific needs. Even though our main products are granite and quartz we also work with products such as Dekton, Marble, Quartzite, and other natural stone products. Every product has something unique to offer. In our showroom, you will see over 90 granite colors and hundreds of quartz colors on display, along with multiple tile displays from Daltile, Mohawk, and other great tile manufacturers. Our close relationship with our wholesalers allows our customer to open up their options even more by visiting the facilities of our suppliers. Every project is unique and must be treated as such, our experienced sales staff will make sure to find the perfect product for all of our customers needs. Our professional installation assures you of showroom quality. All material is carefully inspected prior to delivery. We do not sell or install inferior product! Much of our business comes from referrals and we know our reputation depends on your satisfaction. We want you and your friends to call on us for future granite projects. Giving you the best service possible is a winning scenario for both of us! Bedrock Granite will be showcasing a number of different galleries for you to view our product offering and projects that have been completed. From Kitchen to Bath to Outdoors! The July 2018 Stone of the Month is Sandaluz! 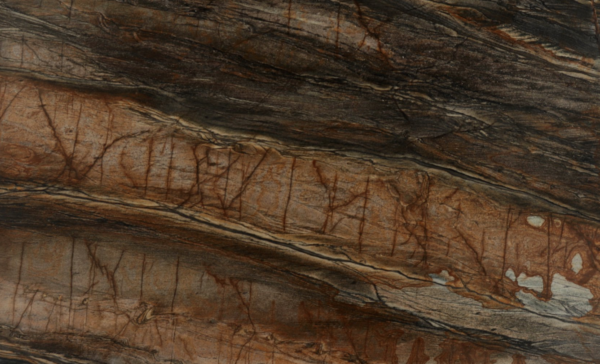 This stone has an amazing satin finish, which brings out the depth in the stone and provides an exceptional texture. Tiny fissures in the bedrock allowed water to penetrate the stone, which in turn reacted with the iron content to change the color.